It can be hard for moms to find time for themselves. A new mother’s group called Growing Up Gorgeous is being held in Haddonfield specially designed to help mothers find a balance between their duties and “me” time, with the support of a community of diverse women through the power of faith. 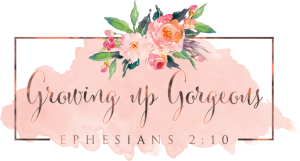 Growing Up Gorgeous is throwing its official launch party Sept. 10 at the Haddon Fortnightly, and mothers of all kinds are invited to come and learn more about the group. “I think moms have a tendency not to take care of ourselves; we just give and give. This group gives moms time for themselves and the resources to face challenges through faith, truth and love … If you need to vent and share, this is a place to do that,” Growing Up Gorgeous founder Christina Acosta-Martinez said. Acosta-Martinez is a mother of two young girls, Summer Rose, 2, and Naomi Lynn, 7 months, and married to Miguel, and came up with the idea of Growing Up Gorgeous through her gatherings at church, wanting a place for mothers to talk about motherhood and their journey together. “I began this community … because I needed to be around other moms to form genuine and real connections. I also wanted a place where I could relax and have time to breathe, laugh and enjoy life outside of mommy duties. There is no place in South Jersey that provides that kind of experience, so I created one,” Acosta-Martinez said. A study commissioned by TVBed.com found the average mom only gets 17 minutes of “me” time every day. And more than half of 2,000 mothers polled said they didn’t have the time to have hobbies or pursue interests, according to a Growing Up Gorgeous press release. Growing Up Gorgeous is a place to help mothers refresh and restore themselves, and also connect with other like-minded women. The group consists of diverse women such as working moms, single moms, seasoned moms, stay-at-home moms and mom-preneurs. “I think it is important to know that this group has a more luxury feel. We want moms to be able to relax in an environment where everything is taken care of for them,” Acosta-Martinez said. The plan is to have members engage in year-round events such as spa days, photo shoots, and health and wellness sessions. The first mom’s night out is planned for Oct. 21 at A Taste of Olive for an olive and wine tasting night. But it’s not just about de-stressing and interacting. Growing Up Gorgeous also caters to personal development of members and regularly hosts informative seminars. Future planned seminars include saving money for college, caring for an elderly parent and supporting your child in school. “It ranges from people with children out of school to people who have new babies,” Acosta-Martinez said. The launch event will be held on Saturday, Sept. 10 at the Haddon Fortnightly from 10 a.m. to 12:30 p.m. Attendees will be briefed on membership and will have the opportunity to connect with other moms in the community. Coffee and cakes will be served and there will be giveaways, games and raffle prizes. Professional childcare will also be provided onsite. Registration for the event is available until Sept. 9, and childcare is limited. The cost is $15 per adult attendee. “Everybody is welcome to come to the launch and learn about membership. For those who can’t come, check our website for open events and times,” Acosta-Martinez said. Learn more about the group and register at www.growingupgorgeous.com.